Are You Ready For Trailfest 2016? It’s almost time for Trailfest 2016! 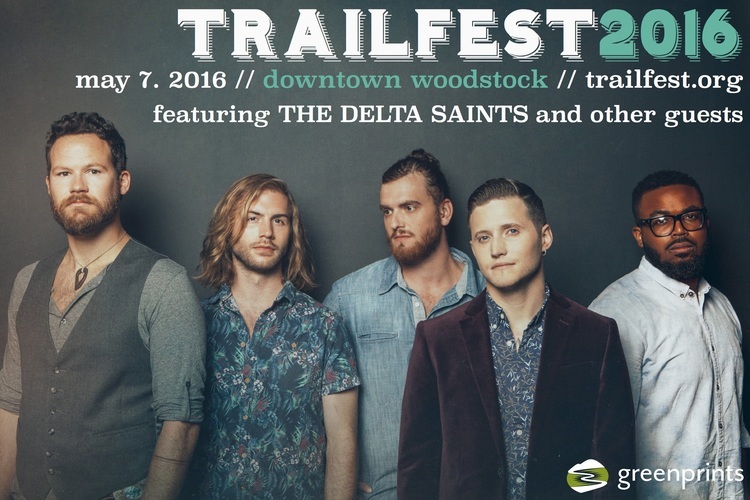 This year Trailfest is on May 7th and with this year’s musical headliners the Delta Saints; what a fantastic successor to last year’s Dirty Guv’nahs. Not sure exactly which festival Trailfest is? It’s ok, we’re fortunate to have a number of festivals in our area that are worth marking on your calendars. Trailfest, formally known was Streetfest,’ began in 2010 and was Woodstock’s first venture into open containers in the event area. With mother nature on our side and some truly amazing planners, the festival grew quickly. In 2013 it was rebranded as Trailfest to coincide with our partnership with Greenprints Alliance. It was in 2014 that the Elm Street Cultural Arts Village in downtown Woodstock (one block west of Main Street and one block south of Towne Lake Parkway) became the permanent location of Trailfest. Feeling like getting off to a running start? At 8 a.m., the PLAE HARD 5k, will kick off the festivities. The run starts on Market Street and is out on the Noonday Creek trail. If you need a little last minute training, or even if you decide to run, finish and realize how good it feels to exercise, our buddies at PLAE HARD said if you mention this post, they’ll give you TWO FREE WEEKS of training! How awesome is that? It never hurts to try something new. Ok, you might be sore, but it’s the good kind. Each of the shows will be at the Resurgens Orthopedic Stage with plenty of local food and beer vendors to enjoy. You are more than welcome to bring blankets and chairs, please no outside food or drinks. 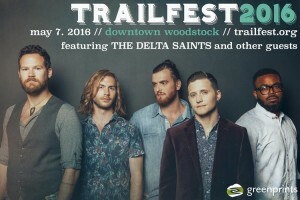 Trailfest is FREE! We’ll see you there!